Which frequent flyer program and rental company combinations offer the most points? Making a decision about which car rental company will earn you the most frequent flyer points will depend on where your allegiance lies and your status within the frequent flyer programs. It’s not as easy as you think, so that’s why we’ve broken it down for you. If you want to understand the methodology we’ve used, explore the tables; if you just want an easy answer, look at the tables without numbers plus our conclusion. This guide summarises the number points you can earn from six of the world’s leading car rental companies. It covers frequent flyer programs that are most relevant to New Zealand consumers and provides an example for both domestic and overseas car rental bookings. Note that you can also earn Fly Buys points on domestic car rentals with Avis and Budget. We have looked at the earn rates for these also, given they can be redeemed on flights in almost the same way that Airpoints Dollars can. With Asia Miles and KrisFlyer, you could also earn miles with all of the above programs by booking via Rentalcars.com. You’ll earn 2 miles for every HK$10 spent, and 1.5 miles for every US$1 spent, respectively. Below are hypothetical case studies of a domestic and overseas car rental booking that show the value obtained from crediting points to your frequent flyer program for each car rental company. You can read more about how we value points. Note that these values are Daniel’s own take and, of course, your values may well be different due to your own personal preferences on how you like to earn and redeem points. They are useful to generate a comparison though. The above analysis looks solely to points earned on personal car rental bookings, not business rentals. The decision on which car rental company will undoubtedly look at other factors first, such as price, availability of preferred vehicle class, capping on kilometers driven, cost of extras such as insurance and whether you have elite status with that rental company. If you are in the market to redeem for Qantas flights, remember that you can use Asia Miles to travel on many Qantas flights for a reduced number of points. If Virgin Australia and Singapore Airlines are your redemption partners of choice, remember that you can transfer points between Velocity and KrisFlyer under their unique partnership at a rate of 1.35:1 in either direction. Also remember that the Cashrewards program provides you with ‘cashback’ when purchasing through their link, without compromising on any points that can be earned. This guide does not reveal any major surprises in that most of the winning frequent flyer programs for each rental car company are also that company’s major frequent flyer partner. High-value international rentals will often be best credited to Asia Miles or KrisFlyer, booked via Rentalcars.com, noting that these will be tied to dollar value rather than a fixed amount. Cheaper bookings of only a one or two day duration will be better credited to a program with a fixed points/mile value. Domestic rentals are best credited to Velocity with Europcar, where you’ll earn more points than which any other program. 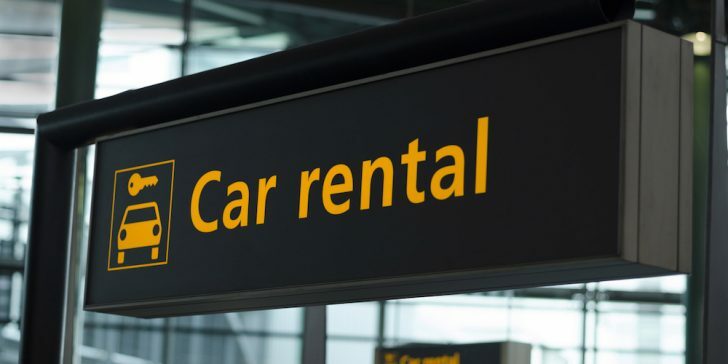 Don’t forget that points are only one element that should be considered in a car rental decision; however, they can serve as a valuable tie-breaker when the offers provided by the rental companies are similar. You should also take into account car rental discounts that may tip the scales in favour of a particular company – for example, those offers available to Entertainment Book cardholders. Daniel lives and breathes frequent flyer points, and finds nothing more exciting than researching the best ways to extract maximum value from these points. Daniel's other love is Finance. He travels mostly for leisure, and being Gold Coast based, you'll find him hitting the gym, hitting the surf or enjoying the great outdoors when he's not travelling. This is the same plane Qatar Airways will fly to Doha from Auckland from February 2017. 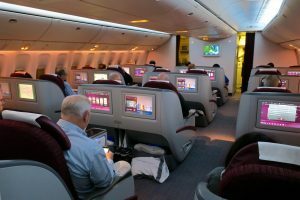 We give it a four-star rating for its comfortable seat and bed, excellent food and drink offerings, and spaciousness of the cabin; at times unfriendly and spotty customer service, and a frustrating IFE and remote control let this flight down.